Protecting homes and business from fire, theft and vandalism is what you do. You’re the expert when it comes to home surveillance, theft monitoring and fire alerts. People trust you to help them protect their homes. 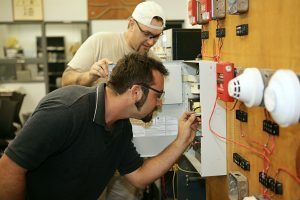 It’s great to know that you have a friend helping you along the way as well with the financial security of your Alarm & Security Installation business with an insurance policy specifically geared towards your business. Insurance Brokers of Arizona has teamed up with some of the best insurance companies in Arizona to offer Alarm & Security System Installation Insurance policies.